Farms are chic with a proven country-side quaintness. 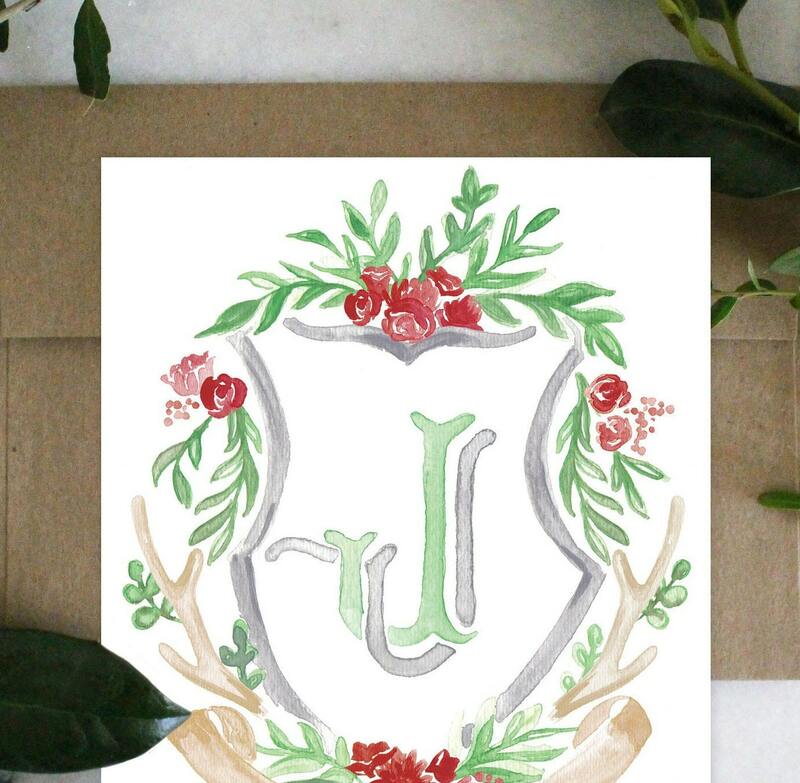 This semi-custom save the date boasts a hand-painted, intertwining initials with the crest, as well as your names painted within the banner. 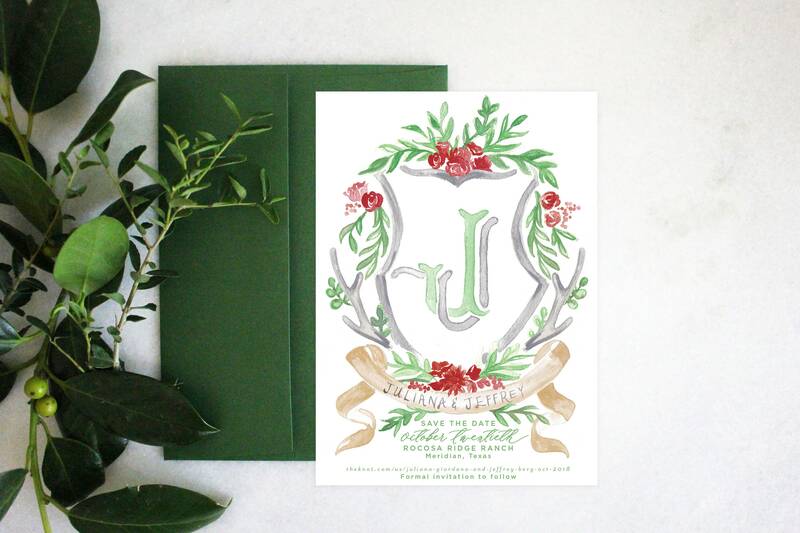 An elegant crest, a mix of simple greens & rustic antlers feels like the perfect tone for your Save the Date!